For military savings opportunities available right at your fingertips so that you can save time and money when planning for your next shopping trip, look no further than MyMilitarySavings.com. We understand how difficult it can be for military shoppers to find the time to scour the internet for coupons and other deals on the items they need from the store. That’s why we’ve gathered discounts from trusted sources to make it easier for you to quickly find the deals you need. We even provide handy links to the Exchange websites for each branch of the Armed Forces, as well as to the Defense Commissary Agency (DeCA), where you can add digital coupons to your Rewards Card for instant savings. We also offer a suite of helpful military savings tools that you can take advantage of before your next shopping trip. For example, on the My Home Base page, you’ll be able to set your location to the base you’re stationed at to find store hours, phone numbers, and other information for the local commissary and exchange, as well as details about community events, sweepstakes, and more. 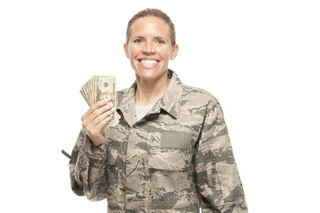 To learn more and to access a mountain of military savings opportunities, enroll for your free account at MyMilitarySavings.com today.